Ceci Pantin born in Caracas, Venezuela. She continued her studies of Digitale kunst|Digital Art in SLAC/Academie Beeldende Kunst and became a light painting amateur" in Leuven, Belgium. 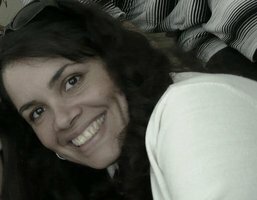 Ceci has worked as a freelance designer since 1999. "I believe in the power of visual communication"
"I love what i do because i acquire new knowledge with each one of my projects, so i try to never think I have reached my full potential".